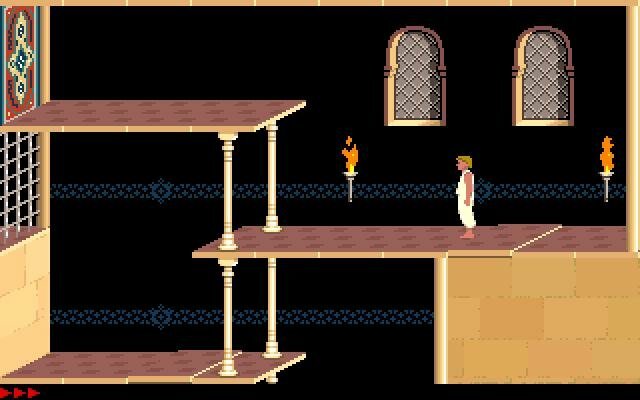 Platforms: PC, Amiga, Amstrad CPC, Apple II, Atari ST, FM Towns, etc. 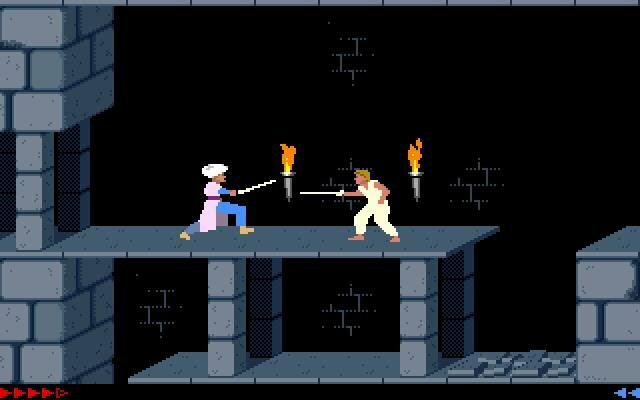 As the legendary side-scrolling adventure/puzzle game that requires no introduction, Prince of Persia will have you – as the nameless prince – navigate through thirteen levels filled with traps, guards and little room for error. 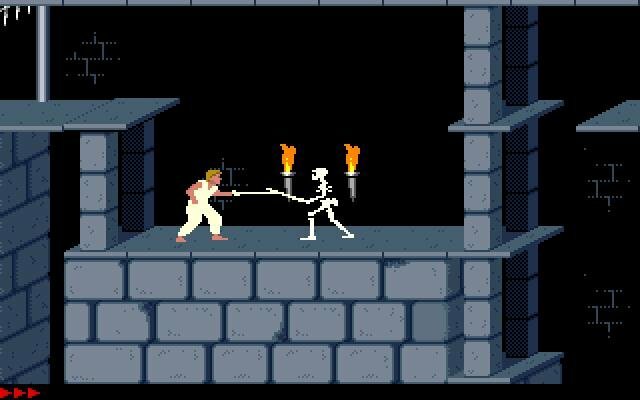 The game distinguished itself from the competition at the time for sporting some of the sharpest VGA graphics around, not to mention the most realistic character animations seen in any game at that time. 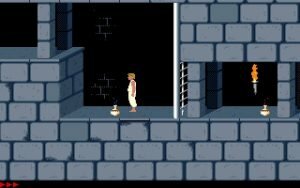 Prince of Persia’s character movements were as smooth as silk, achieved by combining a series of real photographs that were then digitized and used ingame. 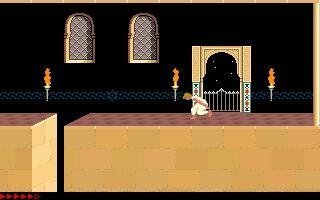 Work on Prince of Persia started shortly after Jordan Mechner’s Karateka, another classic from the Commodore and Apple platforms. Controls are very simple with a basic complement of buttons to run, jump, climb and move in all directions. 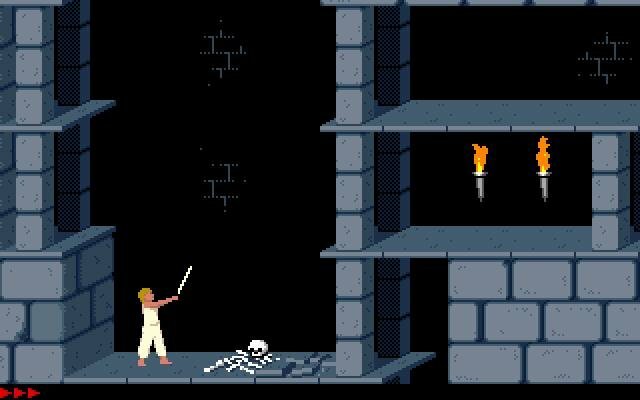 Complete mastery of additional controls that allow you to pick up and use objects or fight with a sword are imperative to winning the game, as well as learning where the hidden tunnels are located on all of its levels. 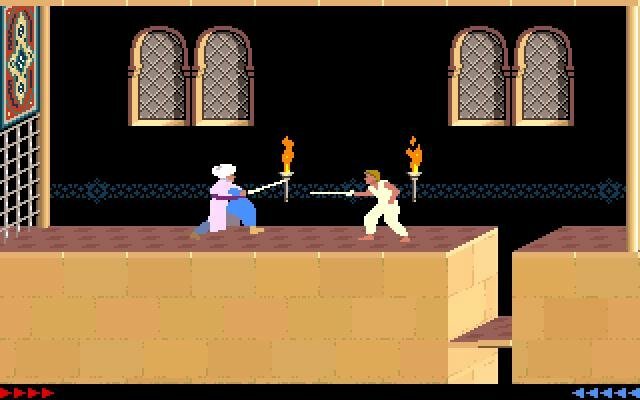 There’s simple swordplay in Prince of Persia, but the main obstacles will come from the level puzzles, which will require a plentiful amount of gray matter alongside quick reflexes. 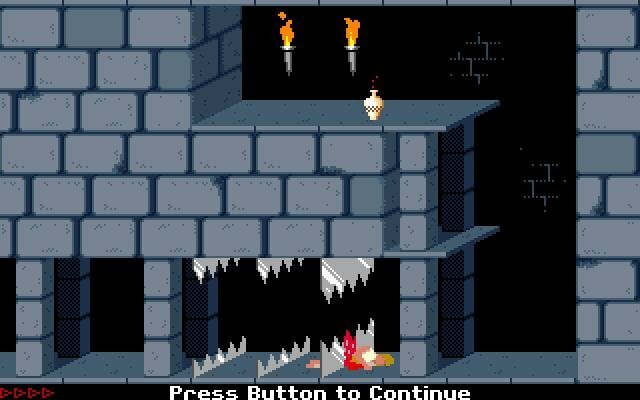 Traps in the form of falling floor tiles, spikes and dangerous falls will serve to make your journey difficult. The controls, while easy to learn, require precise coordination to pull off many of the moves. 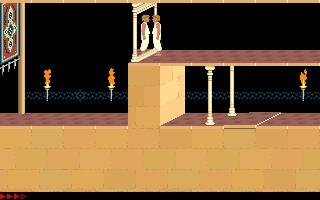 Despite the basic control scheme, gameplay is quite challenging. 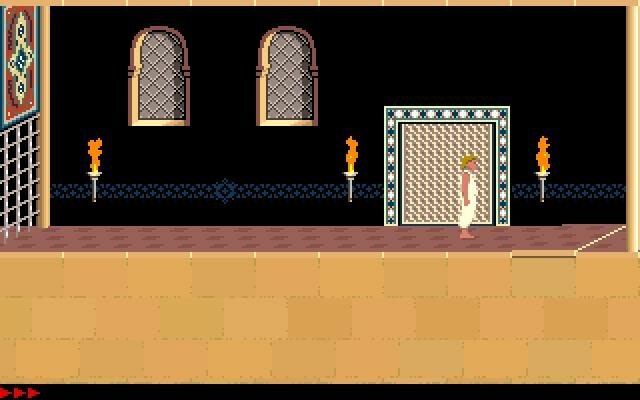 As you learn to fight against your many opponents, you grow stronger as you build up to the final confrontation with Jaffar. 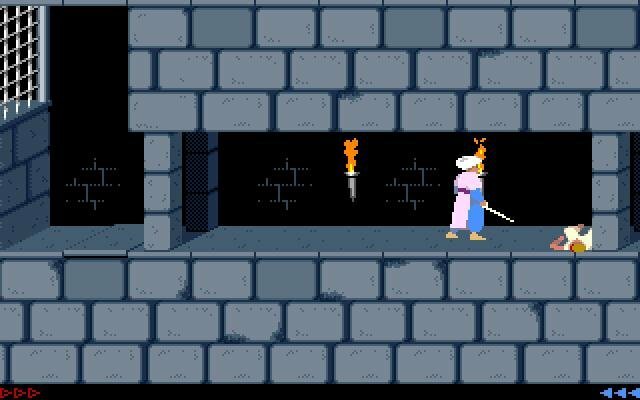 Luckily, you acquire items during your search for the Princess, which add to your strength, skill and life points. The final battle is suitably challenging, so you’ll need all the help you can get. Your journey will take you through a lot of hazards and annoyances – the addition of a counter makes things ever more difficult. 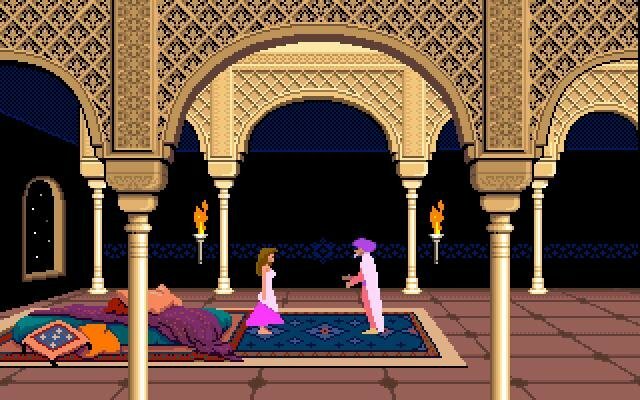 In all, this isn’t an adventure game for the impatient. 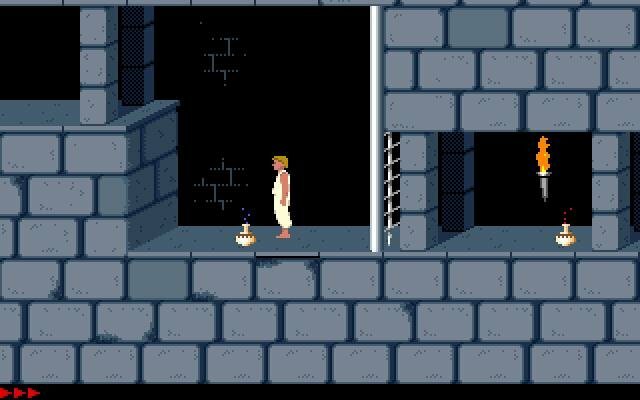 The major attraction of Prince of Persia is the challenging level of gameplay and the requirement to master fighting skills while exploring huge mazes and avoiding pitfalls. 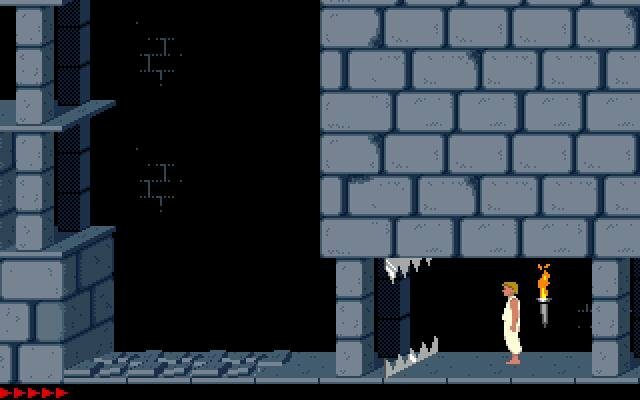 Fans of the older versions of the game will find plenty of joy in revisiting this classic — even if it’s just for the nostalgia kicks. file size 292 KB ? 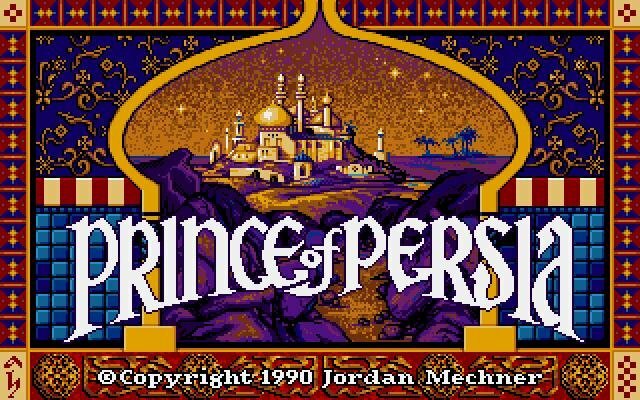 Game is from 1989. Surprised?